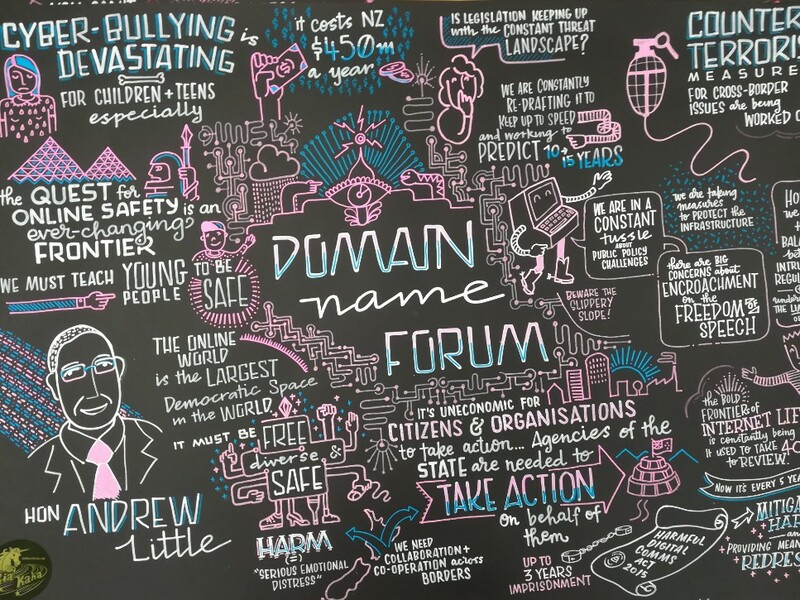 The DNC and InternetNZ held the Domain Name Abuse Forum in Wellington this week. 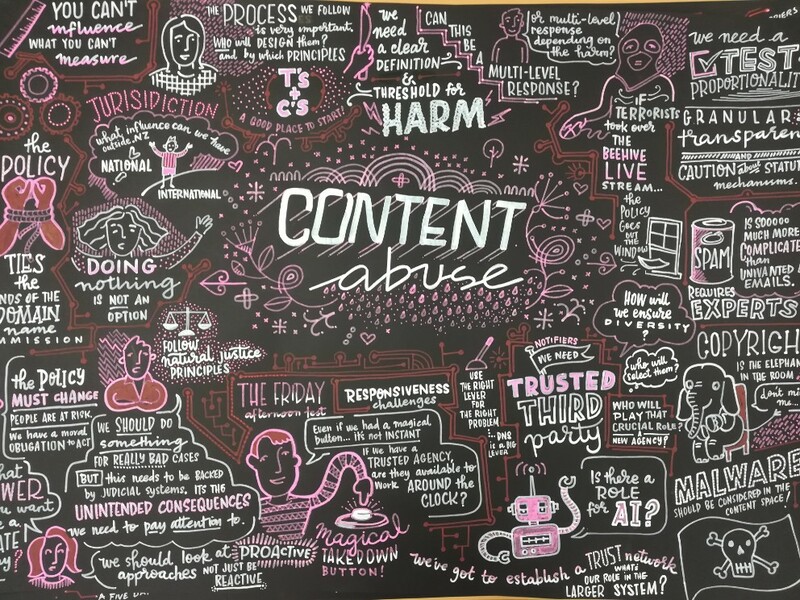 This marks the first time the InternetNZ group has held an event with the explicit goal of tackling issues of abuse in the .nz domain name space. Attendees split into groups to discuss the different types of domain name abuse faced in today’s internet. The groups discussed ways to mitigate content abuse, infrastructure abuse, and registration abuse. The League of Live Illustrators were on hand to capture the ideas being developed and synthesise them into some truly stunning artwork. Rebeka from the League of Live Illustrators puts the finishing touches on the canvas. The League of Live Illustrators' artwork synthesising the themes of the forum. Domain Name Commissioner Brent Carey, and Complaints and Compliance Manager Dylan Connolly attended the Online Dispute Resolution Forum in Auckland this month. The event was a great learning opportunity and provided insights into how other organisations around the world operate online dispute resolution schemes. 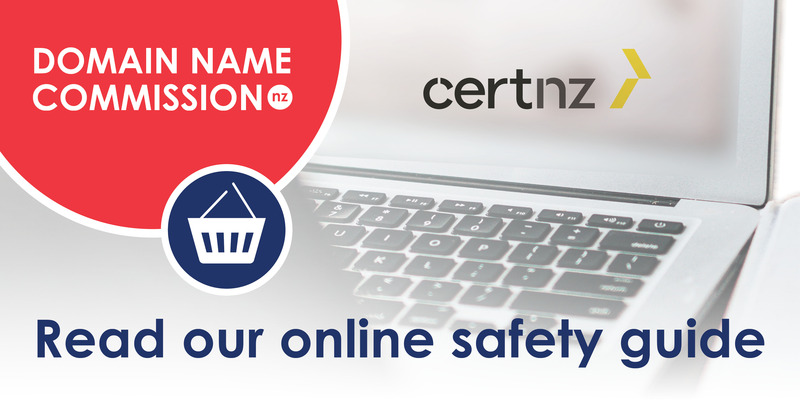 The DNC has partnered with the Computer Emergency Response Team NZ (CERT) to provide internet users with some practical advice about staying safe when shopping online. The two agencies published “Safer Online Shopping” today. The publication coincides with International Computer Security Day, an annual event celebrated on 30 November to raise awareness and promote information security best practice. To find out how you can shop online safely, check out the fact sheet on the DNC website. Brent Carey and Dylan Connolly also joined forces with the New Zealand Law Society this month, holding a webinar on the Dispute Resolution Service. The session contributed to the attendees Continuing Professional Development (CPD). The material from the webinar has been collated into the booklet shown below. As part of ensuring the .nz domain name space is safe and trusted, the DNC operates the registration detail validation process. This process is used to enforce data validation measures under the .nz Principles and Responsibilities policy. 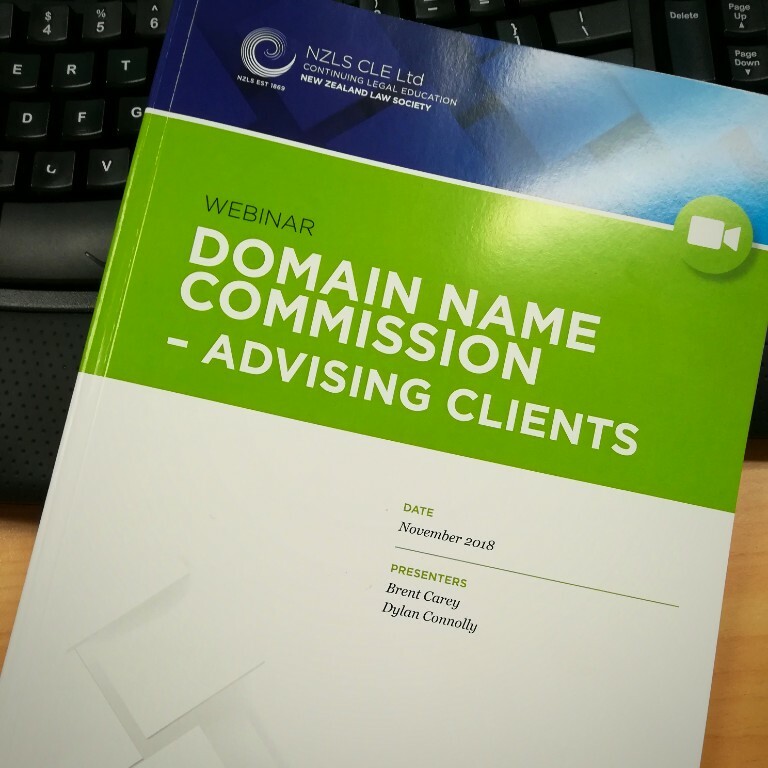 The policy requires that registrants of .nz domain names validate their registrant contact details upon request from the Domain Name Commission. Failure to do so may result in the cancellation of the domain name in question. How the DNC uses the registration detail validation process is covered in “Our current .nz approach”, one of the pre-reading documents circulated prior to the Domain Name Abuse Forum. A recent example of the registration detail validation process in action can be seen in the suspension of cryptocurrency trading platform domain name wex.nz. The domain name wex.nz, and several other domain names registered to the same individual, were suspended by the Commission after the registrant failed to verify their contact details. Full details of the suspension can be found in the DNC’s official statement. The Domain Name Commission and the Department of Internal Affairs announced the signing of a new MoU on Sunday. 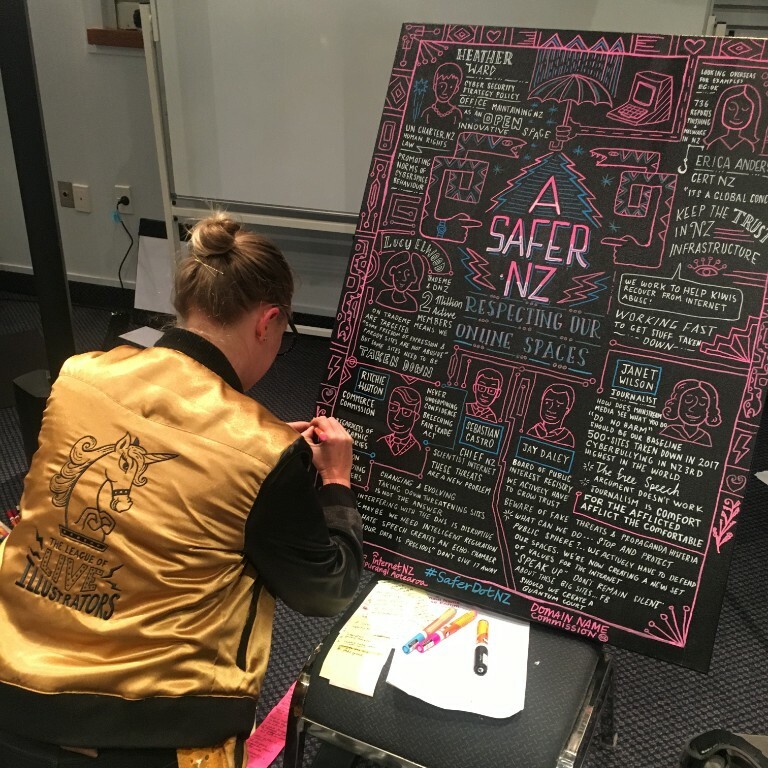 The Memorandum of Understanding allows greater information sharing between the two agencies and is intended to help minimise behaviours that threaten a safe, secure and trusted .nz online environment. Full details, and a copy of the MoU, can be found on the DNC website. .nz authorised registrars can give feedback on the DNC when completing Research New Zealand’s independent survey of the InternetNZ group. Registrars could win a lunch shout or a drone to the value of $1,000 for completing the survey. The survey is running till 7 December and is open to any employee of a .nz authorised Registrar to complete. What inspired some of New Zealand's most successful business names?